This is a great set of CAD Windsor furniture, including a Windsor chairs, Windsor rocking chair, Windsor settee, and a Windsor dining room set. This Windsor CAD furniture is drawn in real world dimensions, so all you have to do is drag and drop them into your drawings and they fit your CAD drawing plans perfectly. 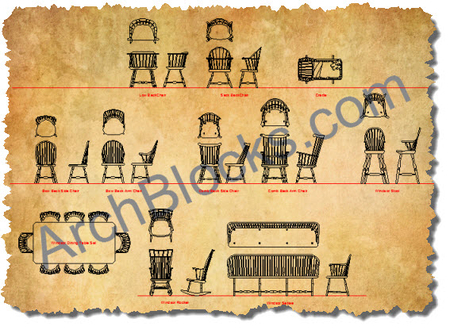 The AutoCAD blocks of the Windsor chairs, settee, and rocking chair come in three views each, plan view, front view, and side views. 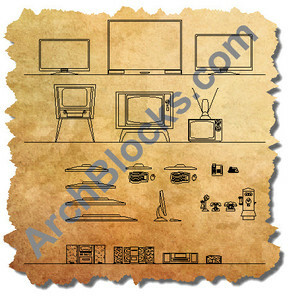 There are 28 total AutoCAD furniture symbols included in this Windsor furniture library. 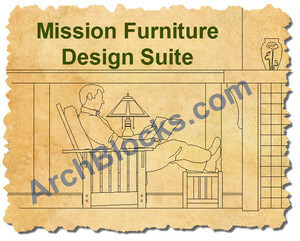 This Windsor furniture CAD library was not designed to be used as dimensioned shop drawings to manufacture this furniture. Windsor Bow Back Side Chair. Windsor Bow Back Arm Chair. Windsor Comb Back Side Chair. Windsor Comb Back Arm Chair. Windsor Dining Room Table with Side Chairs and Arm Chairs. All ArchBlocks.com products come with a 100% money back guarantee! It's very easy to download these CAD blocks, but if you have any questions about how to download this CAD symbol library, please read the Download Instructions that are available on this website.